I love IHOP. Their french toast is my absolute favorite. I definitely go eat there after I have a long week at school or a hectic day at the office. 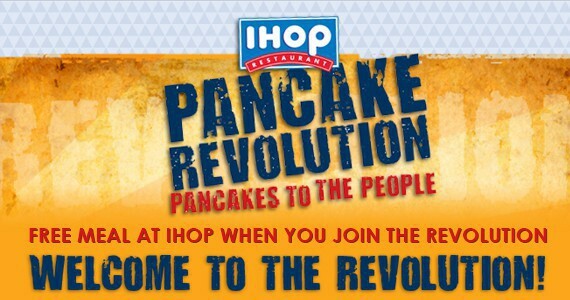 Join IHOP’s Pancake Revolution and you’ll get a FREE meal just for signing up, a FREE birthday meal, and a FREE meal on your 1-year anniversary of join the Pancake Revolution. Plus you’ll get other exclusive special offers! I got my welcome offer via email within 24 hours of joining!